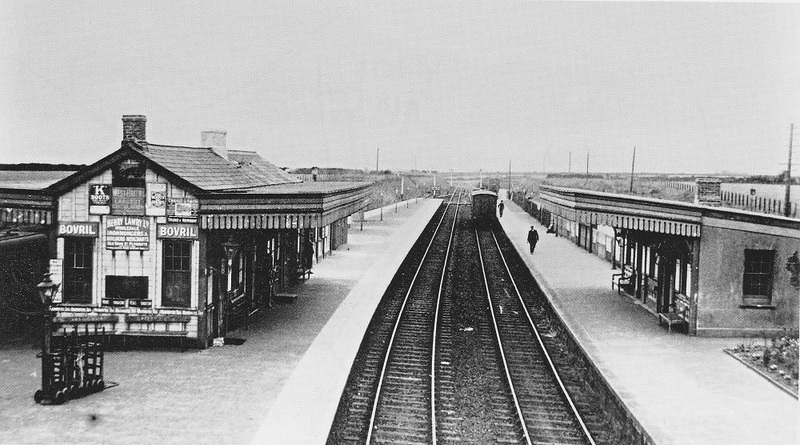 Gwinear Road branch platform, 1936 , showing a platelayers’ hut that does not appear in later photographs. 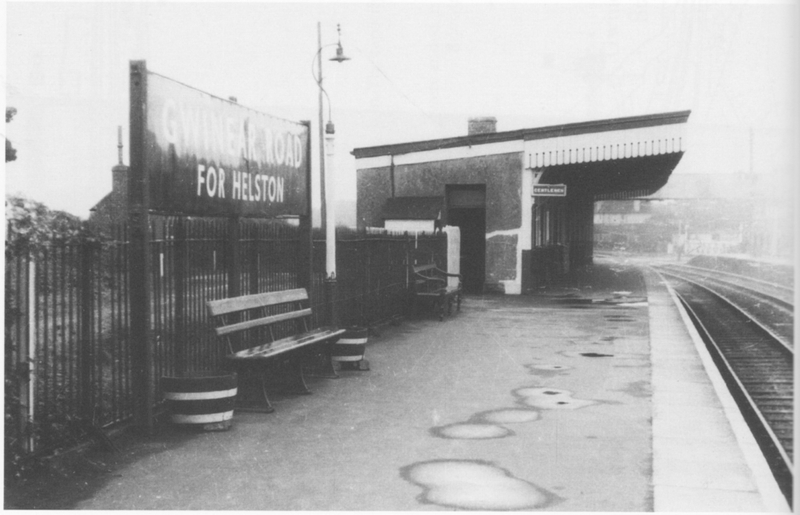 However, the East end of the Down platform station building shows no sign of the battens for advertising signs that existed in 1933 in the above photograph. 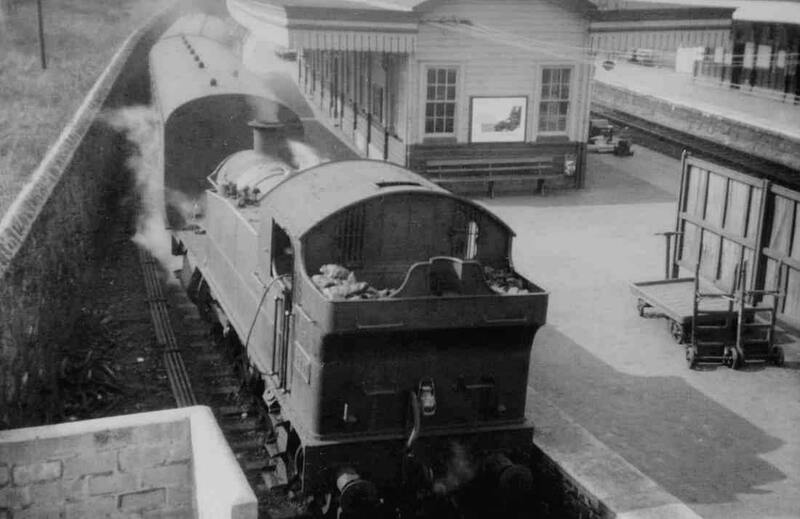 It could be that they were removed between 1933 and 1936, but it is more likely that this photograph was from a later period but before 1948, from when the locomotive would have had its number on the smokebox door. Lens of Sutton Collection. 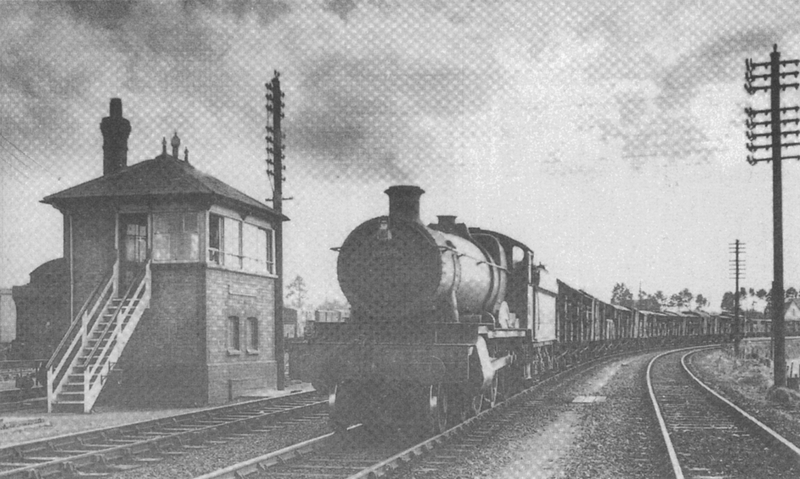 Gwinear Road 1958. 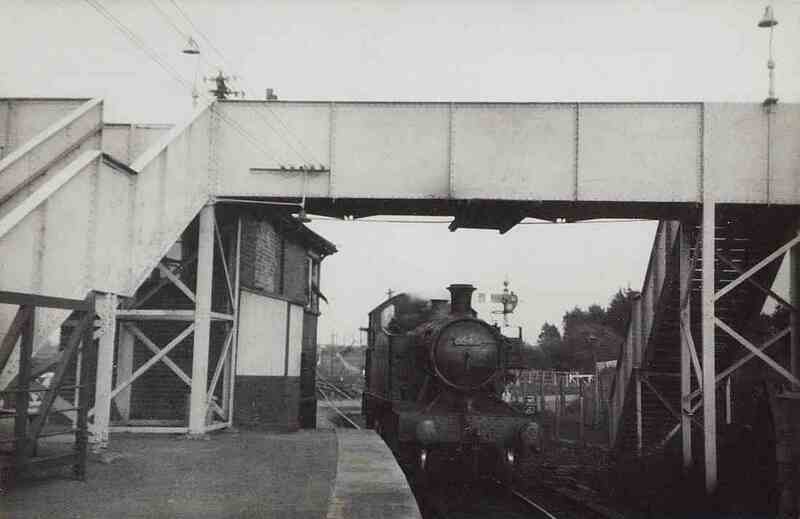 Note that, compared with the above 1933 photograph, the new canopy has been extended to the platform edge all the way to the footbridge. 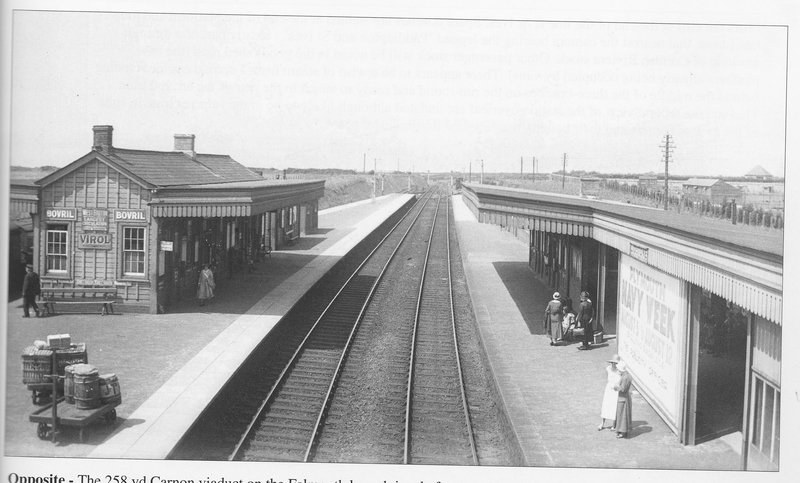 This view clears up a mystery about whether the Up platform station building was of wood or brick construction. 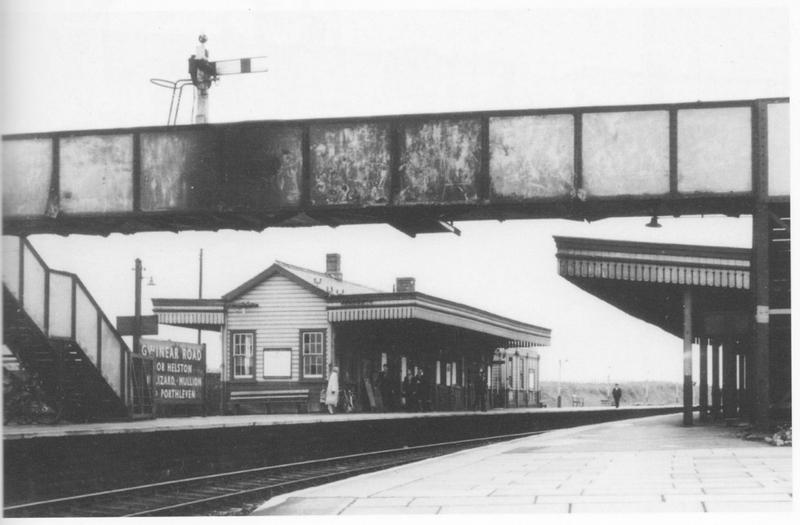 It would appear that the original structure was wooden but a small brick extension was added, probably at the same time as the canopy was extended to the platform edge but after 1933 as this brick extension does not seem to be present in the above photograph. Copyright: R. S. Carpenter Photos. 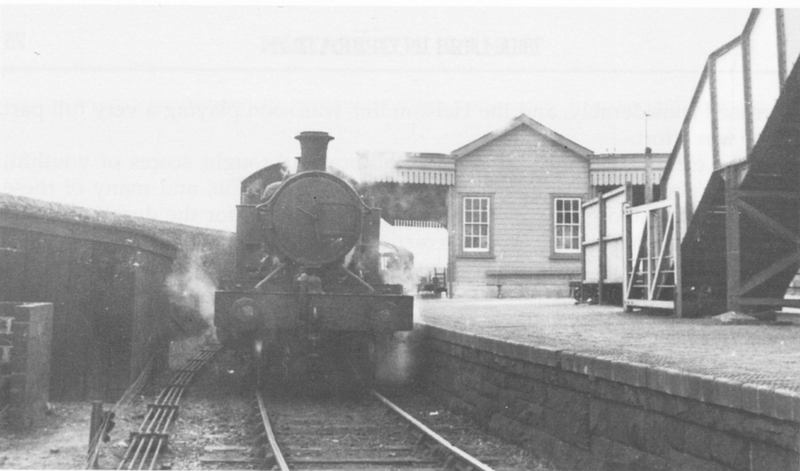 The rarely photographed Gwinear Road East Signal Box with No. 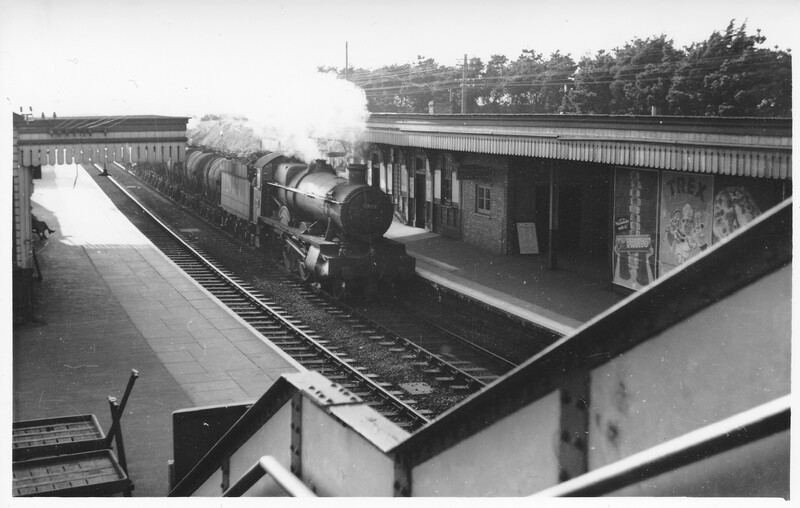 6808 Beenham Grange passing with an Up broccoli special . 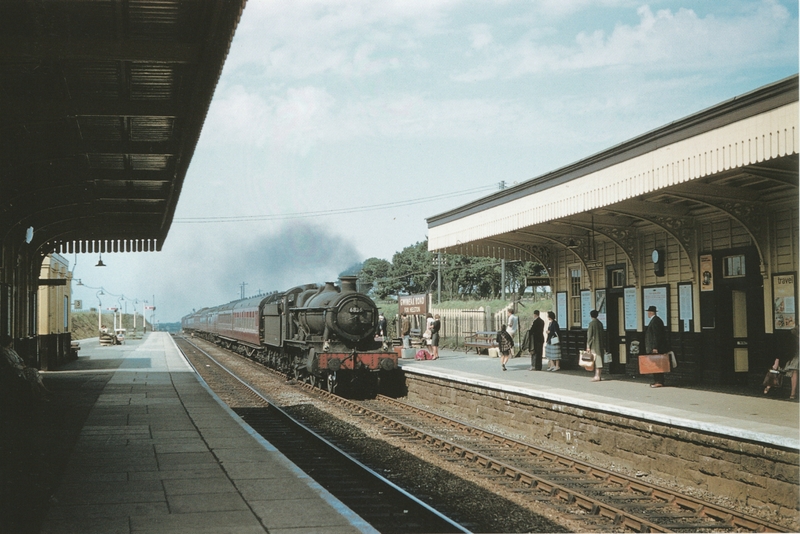 7th April 1960. Photograph: P. Q. Treloar. 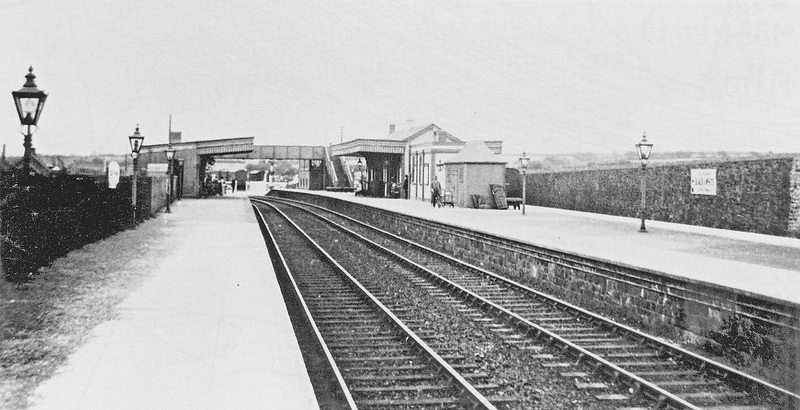 Gwinear Road Up Platform, c. 1960. 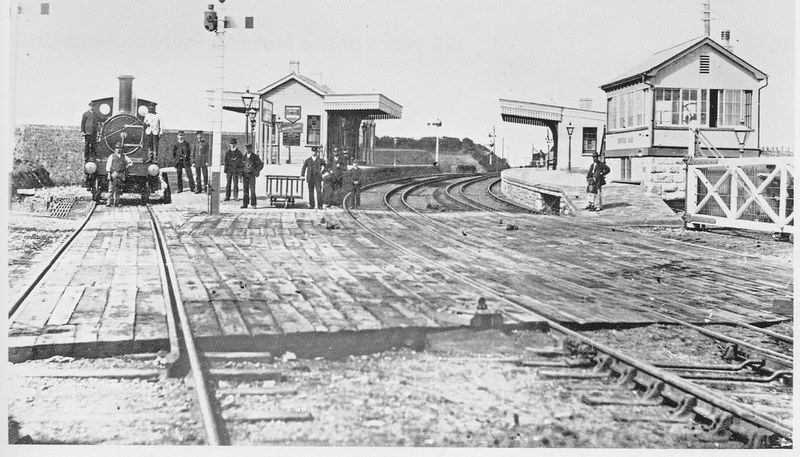 Confirmation of the rendered end wall of the station building ‘gents’. 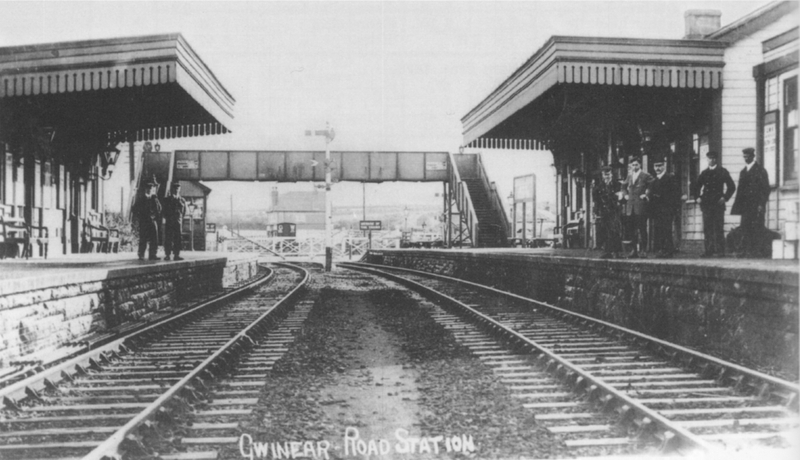 Gwinear Road branch platform. 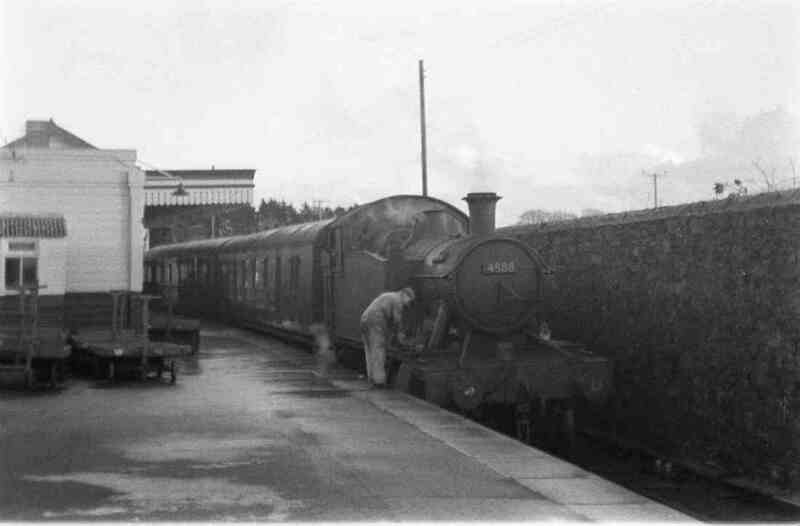 A train has just arrived from Helston behind 4564 and station staff are busy unloading, or is it loading, goods? 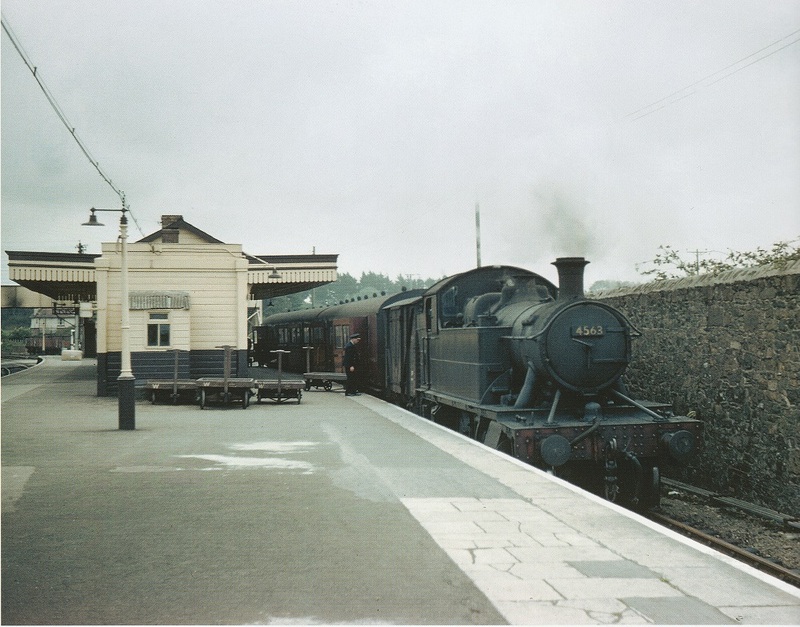 March 1962. Copyright: Sid Sponheimer. 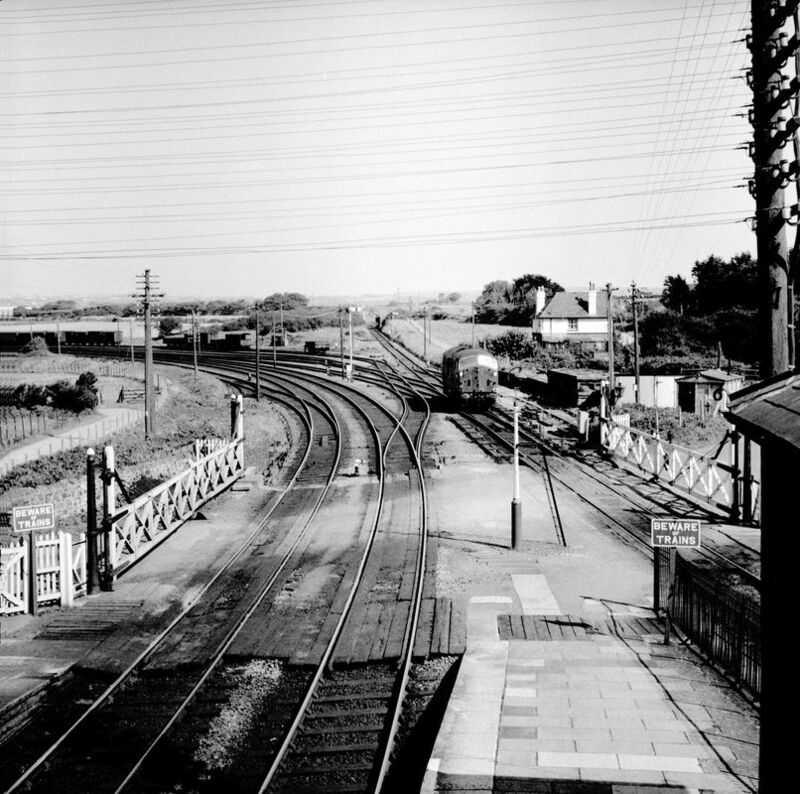 Gwinear Road branch platform on 27th Dec. 1960. The fireman goes about his duties on 4588. Copyright: Mike Roach.